Is Insolvency The Same As Bankruptcy? Often individuals believe that insolvency and bankruptcy are one and the same thing. Yet they are different. 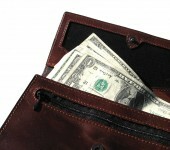 An individual can be in a situation where they are in cash flow insolvency. This means they are in a situation where they don’t have enough cash to be able to pay their debts on this. This is the state that most people are in when they are ready to claim bankruptcy. Then there is balance sheet insolvency. This is when there are more liabilities and fewer assets. This is the situation that corporate businesses may be in prior to their going bankrupt. All of these situations should be handled by a bankruptcy attorney if the decision is being made to go bankrupt. A business that has a good cash flow but is balance sheet insolvent is not likely a good candidate for bankruptcy. These businesses are still meeting their debt payments and are not in default. A business will be classed as insolvent when they become in default with their bills. One of the things that can be taken into consideration when a business is going into bankruptcy or even an individual for that matter is that it was not intentional. For example, the directors of the business purposely allowed the company to go into default, so they could close it. Before making any steps towards bankruptcy filing it is wise to seek out the services of an experienced Houston bankruptcy attorney who is very familiar with these laws and proceedings.